We asked this question over two years ago in a weekend poll, and now we're asking again: is your primary Android device rooted? We all probably have a vague idea what rooting is even if we don't root our phones or tablets, but those of you more familiar with customization probably have pretty specific reasons for doing it, and experience with the rooting process over the years. Both the Nexus 6 and Nexus 9, Google's latest phone and tablet, have already been rooted by Chainfire, and the process isn't especially difficult - in fact, you can do it automatically with a simple script. I recently received my own Nexus 6, and I'm honestly considering rooting it to get rid of the annoying AT&T boot animation, but I still might not end up doing it just to avoid any potential warranty issues down the road. After all, it's just a boot animation. 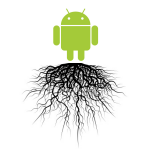 Of course, there are many, many reasons to root your device, depending on how you use it. As I use my devices, I don't really see a need for myself personally these days. Back when I bought a Nexus One in 2010, I was of course tinkering away, flashing CyanogenMod and using LightFlow and a few other root apps to do the kind of stuff that Android really wasn't set up to do back then. Since that time, the operating system has become much more capable, and the ecosystem of apps and services has grown immensely. I don't feel a real desire to modify my phone these days - as long as it's fast, stable, and gets updated relatively quickly, I'm fine.